Comments Off on Adverse Possession—Defendant cannot take a plea of adverse possession against the co-owners in the absence of specific relief. Comments Off on Limitation Act, 1963, S.5–Condonation of Delay—Delay of 1100 days in filing appeal–Delay not condoned as fact of case do not reflect exercise of good faith. Comments Off on Limitation—Exclusion of Time—Until and unless there is the decision of the Court regarding la ck of jurisdiction, period spent cannot be excluded for the purpose of limitation. Comments Off on Limitation Act. 1963, -Acknowledgment of the payment should be made in the handwriting or in the writing signed by the person making payment. Comments Off on Limitation—Period of adjudication of an application to file suit as indigent person is to be excluded for computing the period of limitation prescribed for the suit. 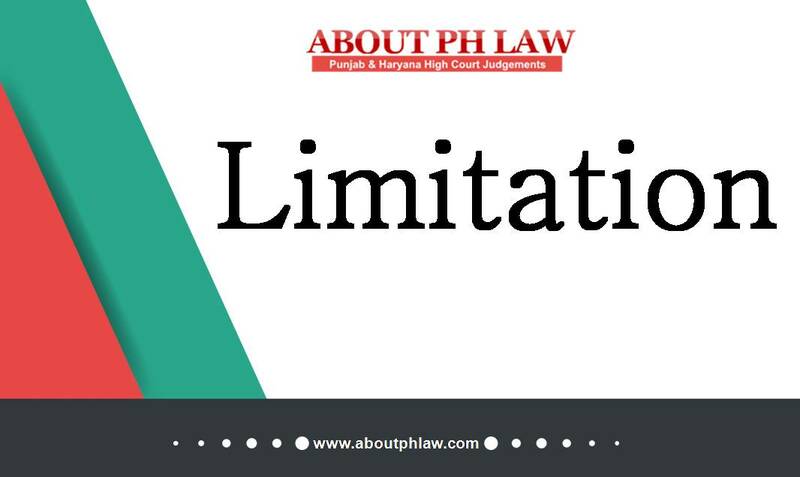 Comments Off on Limitation Act, 1963, S.14–Exclusion of Period-Perusing of a criminal remedy cannot bring the civil suit within the provision of S.14 of Limitation Act. Damages—Fatal Accident—Suit filed by petitioner for personal damages due to murder of her husband—Limitation to file suit for damages is two years from the date of death of victim. Comments Off on Damages—Fatal Accident—Suit filed by petitioner for personal damages due to murder of her husband—Limitation to file suit for damages is two years from the date of death of victim. 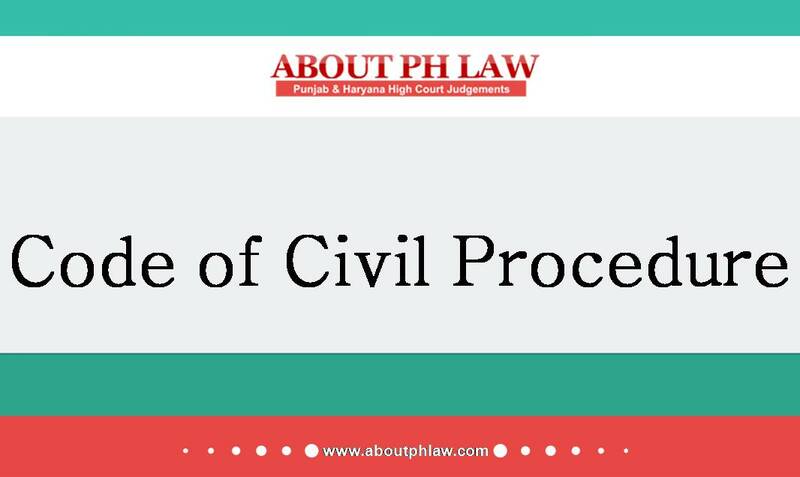 Limitation Act, 1963, S.5-Condonation of Delay-Delay in filing the appeal or revision cannot and shall not be mechanically considered and in the absence of sufficient cause delay shall not be condoned. 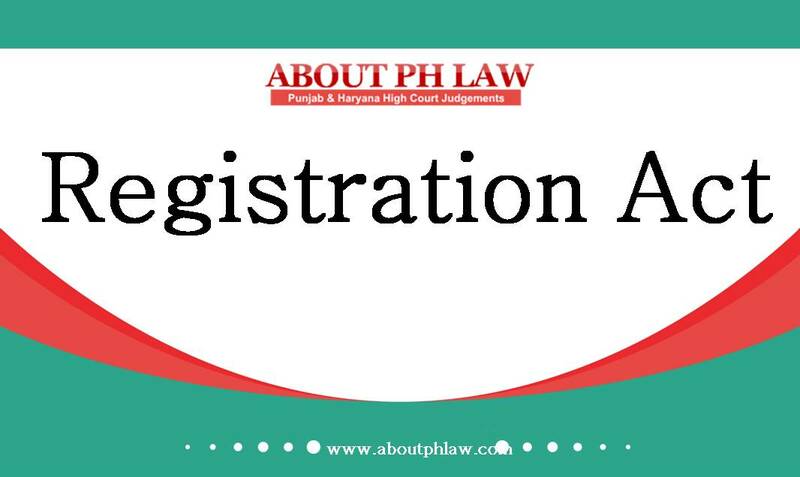 Comments Off on Limitation Act, 1963, S.5-Condonation of Delay-Delay in filing the appeal or revision cannot and shall not be mechanically considered and in the absence of sufficient cause delay shall not be condoned. Condonation of Delay—Delay of 242 days in filing first appeal—Explanation furnished not wholly unacceptable, even if there are some omissions—Delay is not inordinate, nor have any third party rights come—Delay condoned. Comments Off on Condonation of Delay—Delay of 242 days in filing first appeal—Explanation furnished not wholly unacceptable, even if there are some omissions—Delay is not inordinate, nor have any third party rights come—Delay condoned. Bar to Suit—Suit for partition with respect to joint property is based on continuing cause of action, as such the suit for partition could not be said to be barred by Order 2 Rule 2 CPC. Adverse Possession—Starting point of limitation would not be the date of death of female owner as she was full owner but would be date of suit of adverse possession otherwise. Comments Off on Bar to Suit—Suit for partition with respect to joint property is based on continuing cause of action, as such the suit for partition could not be said to be barred by Order 2 Rule 2 CPC. Adverse Possession—Starting point of limitation would not be the date of death of female owner as she was full owner but would be date of suit of adverse possession otherwise. Cognizance–Taking of–Bar of Limitation–The relevant date for deciding whether the complaint is barred by limitation is the date of the filing of complaint and not issuance of process or taking of cognizance by Court. Comments Off on Cognizance–Taking of–Bar of Limitation–The relevant date for deciding whether the complaint is barred by limitation is the date of the filing of complaint and not issuance of process or taking of cognizance by Court. Entry of mutation would not give a right to the party for filing the suit, is essence, limitation would not reckon from the date of entry of mutation but it is only when the title is under cloud or possession is threatened-Limitation Act, 1963. Comments Off on Entry of mutation would not give a right to the party for filing the suit, is essence, limitation would not reckon from the date of entry of mutation but it is only when the title is under cloud or possession is threatened-Limitation Act, 1963.